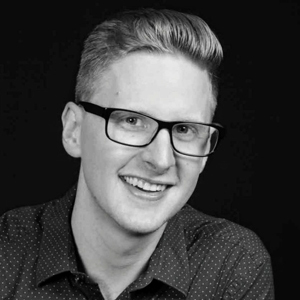 A recent graduate of the music program at Cal Poly, Corey Hable is currently pursuing his Master of Arts degree at the Royal Academy of Music in London, England. Corey began singing at age two, participating in theater and church programs throughout San Diego, California. His varied interests include composition, dance, conducting, and performance as both baritone and counter tenor. Corey’s love for music extends far beyond performance. He is also an accomplished composer, having had his works performed throughout the world. He studied with mezzo-soprano Jacalyn Kreitzer throughout his four years at Cal Poly, and has recently studied with Raymond Connell, Australian mezzo-soprano Caitlin Hulcup, and répétiteur Joseph Middleton at the Royal Academy of Music in London. Stage appearances include Orlando in Handel’s Orlando, Count Danilo Danilovich in Lehar’s Merry Widow, Major General in The Pirates of Penzance. Other notable performances include four seasons in Cal Poly Bach Week, solo masterclasses, and numerous roles throughout San Diego, including San Diego Junior Theatre and The Old Globe. 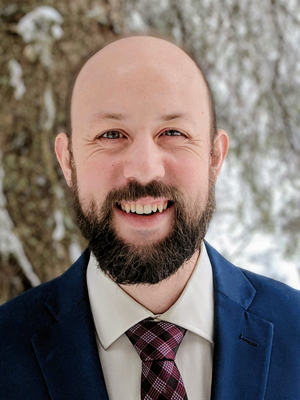 He is a frequent soloist at local churches and private events, and has worked with young singers and choirs throughout California, believing what he has learned only reaches its true potential when he can pass it on to others. A native of Los Osos, Gregg Haueter was raised in San Luis Obispo County’s music and Jewish communities. Local audiences may remember his performance as Strephon in Central Coast Gilbert and Sullivan’s Iolanthe. Other roles include Dulcamara in L’elisir d’amore, L’Aubergiste in Chérubin, Kecal in The Bartered Bride, and Pish-Tish in The Mikado. Recent performances as a soloist include Messiah, Dichterliebe, and Avodath Hakodesh. Gregg received his degree from Bob Cole Conservatory of Music at Cal State Long Beach, where he studied with Tim MacDougall. He has also studied with Judith Natalucci and Mary Sue Gee. Gregg lives in Finland with his wife. Eric Johnson, BA Honors College, Univ. of Oregon 1971, MFA Univ. of New Mexico 1978, Professor Emeritus Dept. 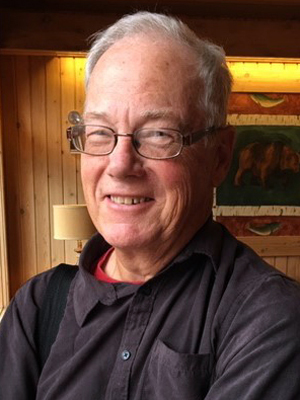 of Art and Design at Cal Poly, taught photography and photography history for 36 years and served as Chair of the Department several times until his retirement in 2016. His own photographic work has been exhibited widely over the years and examples are in the permanent collections of The San Francisco Museum of Art, The Oakland Museum, The Bibliotheque Nationale in Paris, The St. Louis Museum of Art, The GTE Collection among others. His work with Ernest Bloch’s photography started as a junior undergraduate at the University of Oregon in 1970. Following an inquiry, Bloch’s daughter Lucienne invited him to research, edit and print from the composer’s photographic archive. In 1972, Aperture magazine published the article titled “A Composer’s Vision: Photographs by Ernest Bloch.” Several major exhibitions followed, and years later in 2009, at the fiftieth anniversary of Bloch’s death, he made major donations of prints he made in the 1970’s to the Library of Congress, UC Berkeley, among others. He also made several short films using Ernest Bloch’s music and photographs that are viewable on You Tube. Learn more at ericjohnsonphoto.com. 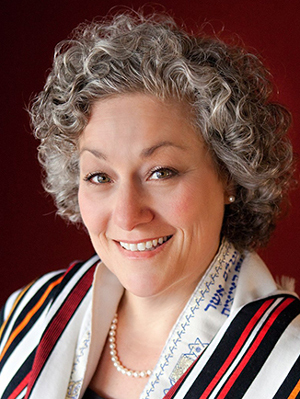 Rabbi Janice Mehring completed her undergraduate education at UCLA and received a Master's degree from USC. Her connection to sacred music led her to seminary to become an ordained Cantor. She formally trained with Cantors Nathan Lam and Perryne Anker but she realized what she really wanted to be was a singing rabbi. That dream became a reality when she completed a second Master's degree in rabbinic studies and became ordained as a rabbi at the Academy for Jewish Religion, CA, a transdenominational pluralistic seminary for rabbis, cantors, and chaplains. She is the rabbi at Congregation Ohr Tzafon (meaning "Northern Light") in Atascadero, CA. She also sings with Canzona Women's Ensemble.